My research interests focus in the fields of Ecological Immunology and Evolutionary Biology. I am developing research projects on environmental and genetic factors that shape the multiple host and parasite communities interactions and their evolutionary dynamics. Currently I am investigating the resistance, resilience and funtional redundancy of host-associated microbial communities and their roles in adaptation to environmental perturbations in a global changes context. These questions are explored through wild fish species, native and introduced, inhabiting anthropogenized watershed; and still through previous collaborations on mouse challenging a gut nematode infection. 2005 / 2007 Master’s degree. Biology and Evolution. University of Dijon (Bourgogne, France). 2002 / 2005 Bachelor’s degree. Biology and Ecology. University of Besançon (Franche-Comté, France). 2018-present Postdoctoral position at the laboratory IRSTEA Recover (UMR IRSTEA - AMU). on the project ECOBAM (French Water Agency). Skin microbiome diversity in Barbus meridionalis, an endangered wild fish species. collaborator Dr. André Gilles. 2012 / 2015 Postdoctoral position at the laboratory Biogeosciences Joint Research Unit (CNRS, University of Burgundy, France). Temporal dynamic of the multiple host-parasite-microbes interactions. Collaborators: Pr. Bruno Faivre & Dr. Gabriele Sorci . 2006 / 2007 Master Research at the laboratory Biogeosciences Joint Research Unit, research group Ecology and Evolution (Dijon, France) on the project: Variability of resistance to Plasmodium in wild populations of house sparrows Passer domesticus. Role of Mhc gene diversity and antioxidant capacity. Supervision: Dr. Gabriele Sorci. 9. Rohtfritsch A., Guivier E., Galan M., Chaval Y., Cosson J-F., Charbonnel N. (2013, n°2). 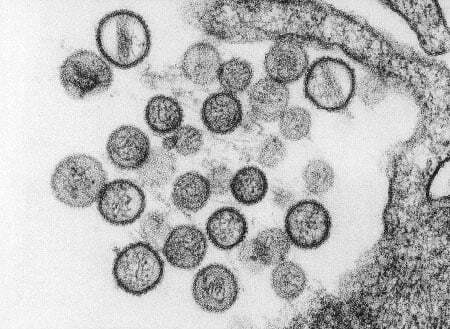 Apport de l'immunogénétique à la compréhension des intéractions entre le campagnol roussâtre Myodes glareolus et l'hantavirus Puumala. Bulletin de l'Académie vétérinaire de France. 2. Guivier E., Galan M., Malé P.J.G., Kallio E., Voutilainen L., Henttonen H., Olsson G.E., Lundkvist A., Tersago K., Augot D., Cosson J.F. and Charbonnel N. 2010. Associations between Mhc genes and Puumala virus infection in Myodes glareolus are detected in wild populations, but not from experimental infection data. Journal of General Virology. 91, 2507-2512. Sorci G., Guivier E, Lippens C., Faivre B. Microbes, parasites and immune diseases. 2016. In: Evolutionary thinking in medicine: from research to policy and practice (Eds. A. Alvergne, C. Faurie, C. Jenkinson), Springer. Guivier E. 2010. Variabilité de la résistance/tolérance du campagnol roussâtre à l'hantavirus Puumala et conséquences épidémiologiques. Thesis. Université Montpellier II, France. Guivier E., Galan M., Cosson J.F. and Charbonnel N. Variability of resistance/tolerance to Puumala hantavirus in bank voles and the epidemiological consequences. Invited speaker by Pr Milinski at the Max Planck Institute, Plön (Germany), September 15th 2011. Guivier E., Galan M., Cosson JF and Charbonnel N. Tnf-α gene expression polymorphism in bank vole: consequences for Puumala hantavirus epidemiology at the landscape scale. Ist congress of Ecology, Montpellier (France), September 2010. (oral communication). 2008 PhD student Fellowship “Bourse de mobilité internationale”. University Montpellier II (France). Courses in serological and immunological methods. Detection of viral infection and participation to field collection of virus samples in central Finland. (METLA and Haartman institute).